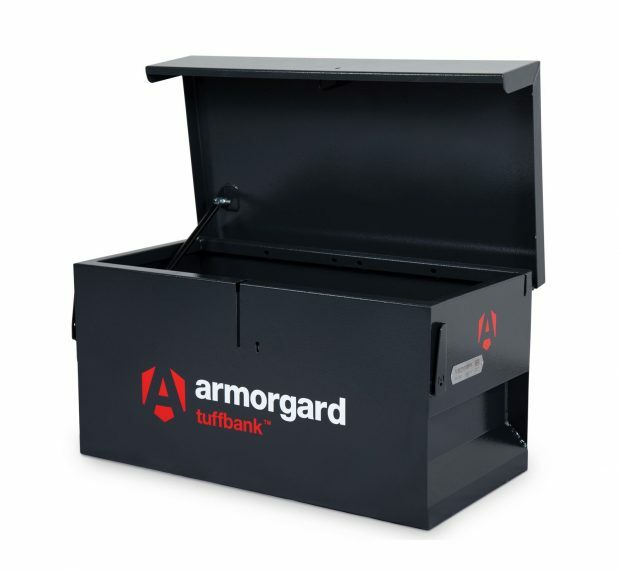 This is the new and improved version of the Armorgard TB1 Tuffbank Van Box. The Tuffbank range now has the Sold Secure and Secured by Design accreditation. Adhering to rigorous test standards required by the police. 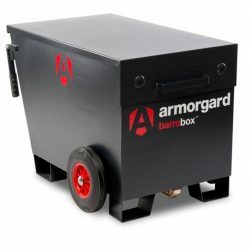 The Tuffbank TB1 is made of robust construction, using 2mm and 3mm steel. The 5 lever deadlocks now have extra reinforced protection, with an unique internal anti jemmy system. Preventing the lid being forced open. Making it virtually impossible to break into. Gas strut on the TB1 Tuffbank Van Box to assist with lid opening and closing. With the addition of the new SlamStop system, stopping the lid closing unexpectedly. Supplied with the TB1 is the mounting kit which allows you to easily secure the TuffBank to a flat surface for increased stability and security.